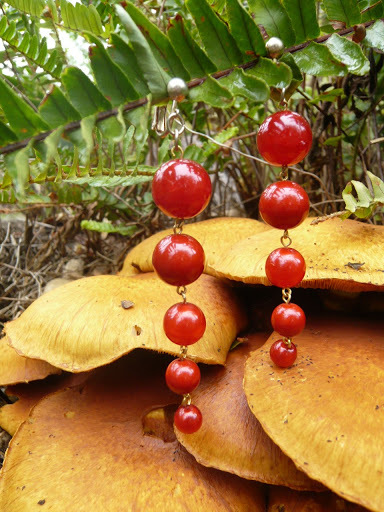 And then, above a huge outcrop of orange fungus, there’s this rare variety of fern with beautiful red berries like currants dangling from it… otherwise known as “ earrings that were a birthday present from Nicole“. There’s so much amazing fungus growing in the backyard at the moment. In fact, I shouldn’t be complaining about being single when there’s fungi just outside my door. OK, so bad puns aside, this really was a beautiful little landscape just begging to be photographed. 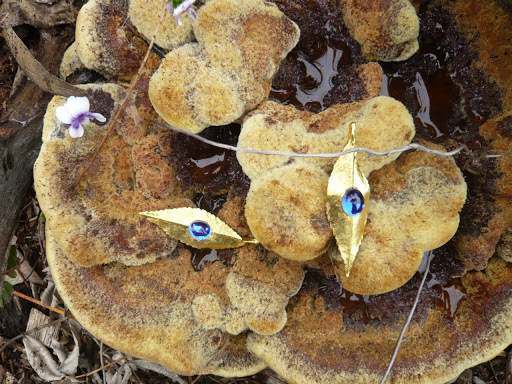 It looks like a fungi version of a rockpool… and these golden leaves with sapphire-esque jewels in the centre have just fallen in there, because of course there’s a tree next to the roc kpool which grows these leaves. In my fantasies, at least. In reality, these earrings are also from Nicole, who does actually do things apart from buy jewellery for me, it just doesn’t look like it! 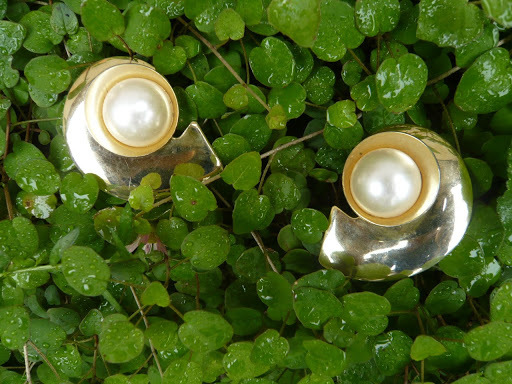 …Getting back to the earring tree idea though… how fabulous would it be if you could just walk into your garden and just pluck a beautiful pair of earrings from a tree like a plum? Until those smartypants get around to inventing such botanical necessities though, I’ll just have to keep on rummaging through the op shops and markets… and keep being friends with Nicole!! Hello! 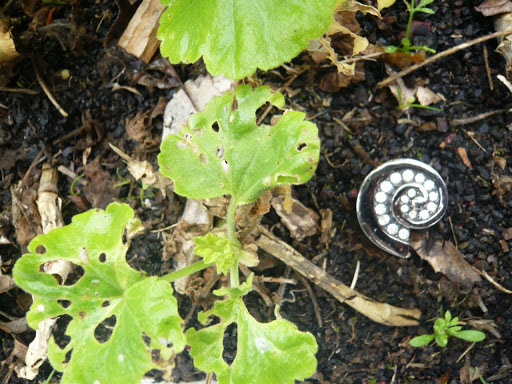 I am also in a style wilderness, but on the other side of the world in the permafrost of UK! Too cold for proper fungus here, sadly. Love the way you've photographed the earrings. The red dangly ones do indeed look edible.